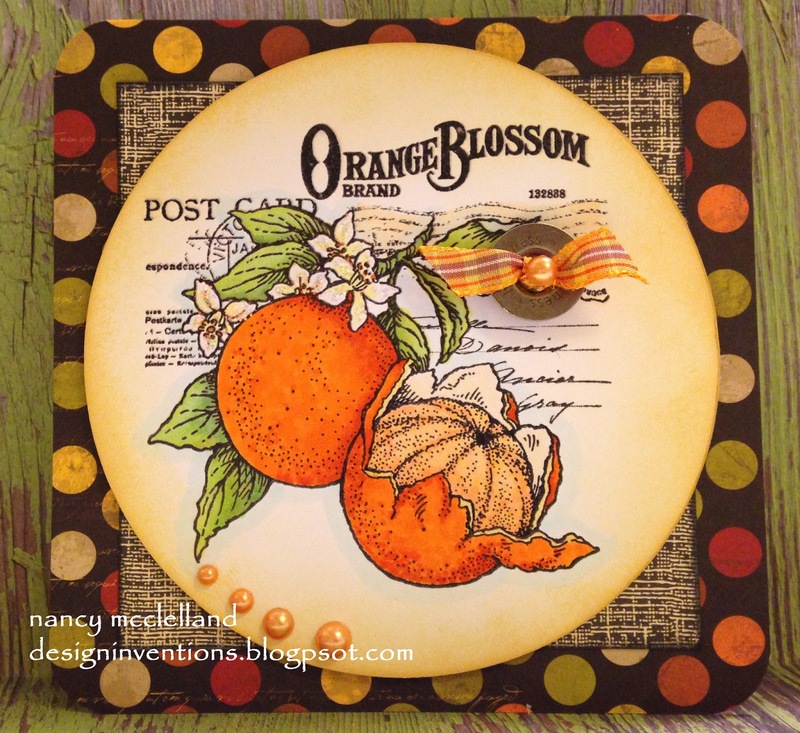 I've been walking by these stamps by Julie Nutting at my local scrapbook store and really never gave them much thought. 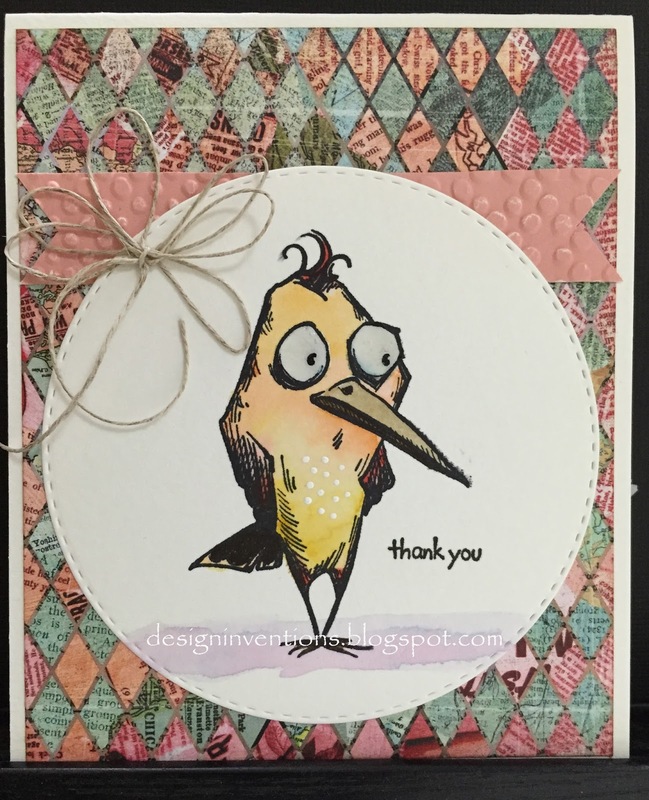 This designer has a couple of sets of accessories to go with these paper dolls that I picked up to go with my Tim Holtz Bird Crazy stamps. So, I caved and purchased one to give it a try. Most of what I have seen with these stamps revolve around paper piecing for the clothes and hats. I decided to use my Copics for the coloring and then paper piece the girls hat. 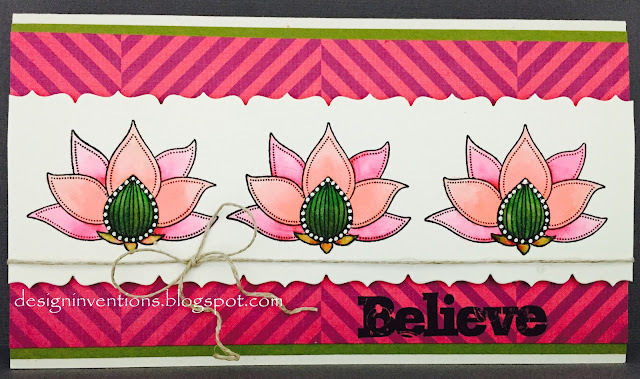 The stamp has the girl holding the flowers on the left side but I cut them off and then stamped several more bunches and put them in the bucket, added a little hemp cord bow and its done. Thanks for stopping by today and I hope you enjoy. 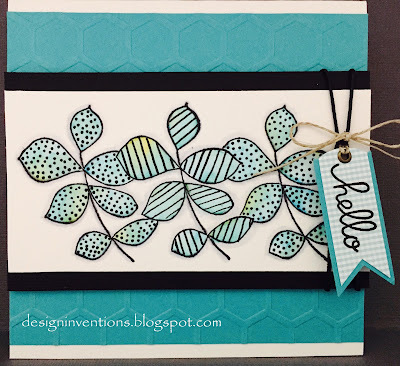 So its "Hump" Day and I have another card using my Zig Clean Color Real Brush pens to share. I decided to use one of those $1.00 stamps and make a repeat pattern design. Selecting scrap papers, that's where my colors came from. This was so simple and easy. I also added some "Wink of Stella" and a little Glossy Accents for that extra pop. I love the look of this card. If you've been following me for a couple of day since I started my blog back up, you have seen my new love for watercolor. 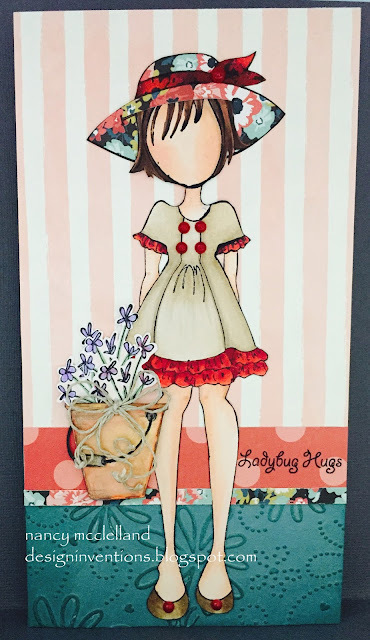 I decided to 'do over' some of my old images that are colored using Copic Markers and see what they look like in watercolor. This first card was done a couple of years ago with Copic Markers. As you can see I stayed more with a strong orange color I have many more Copic's to choose from, so its more vibrant. 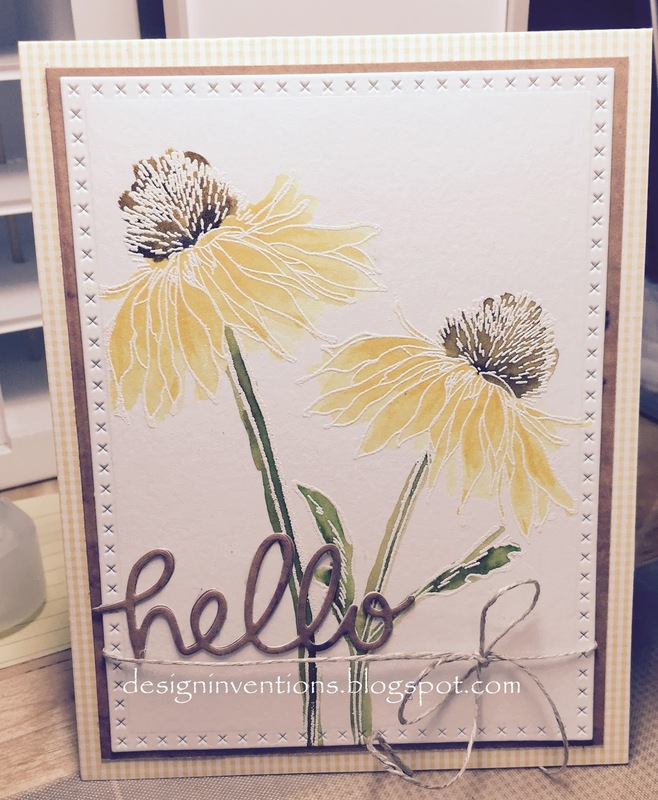 This second card was the 'do over' with Zig Clean Color Real Brush Pens. I have worked very hard to try and make my coloring more like watercolor instead of all the blending I do with Copic. Once again these Zig pens are strong colors and I have found I need to use more water than I would think. This has been a fun trial for me and I promise to share more. 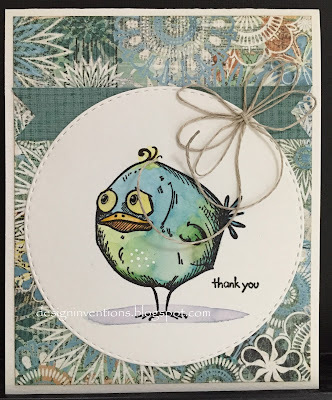 Another edition of those Tim Holtz birds again. I made a set of 6, so I will share multiples today. These images all have eyes that just talk, so many possibilities. 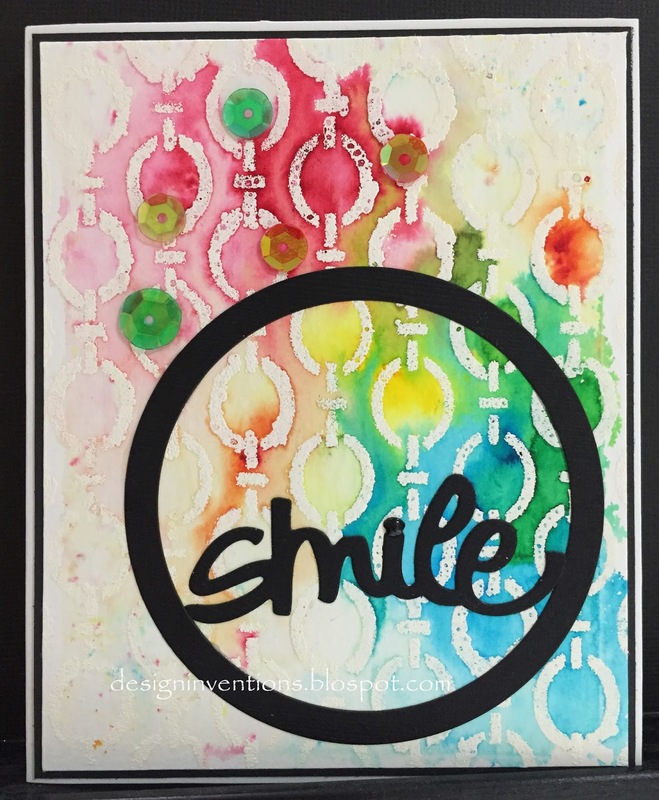 All images were colored using Distress Markers with a watercolor method. 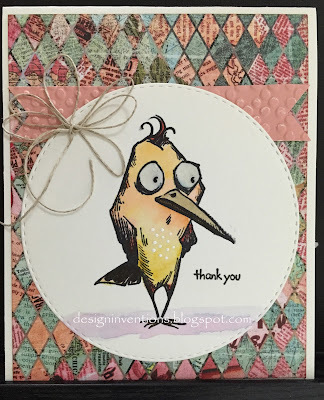 I used scrap papers to put this collection together. The stamp is a basic open image, so I added the lines and dots with a black marker. I have really enjoyed playing with these watercolors, although it has been a challenge to figure out how they work the best for me. 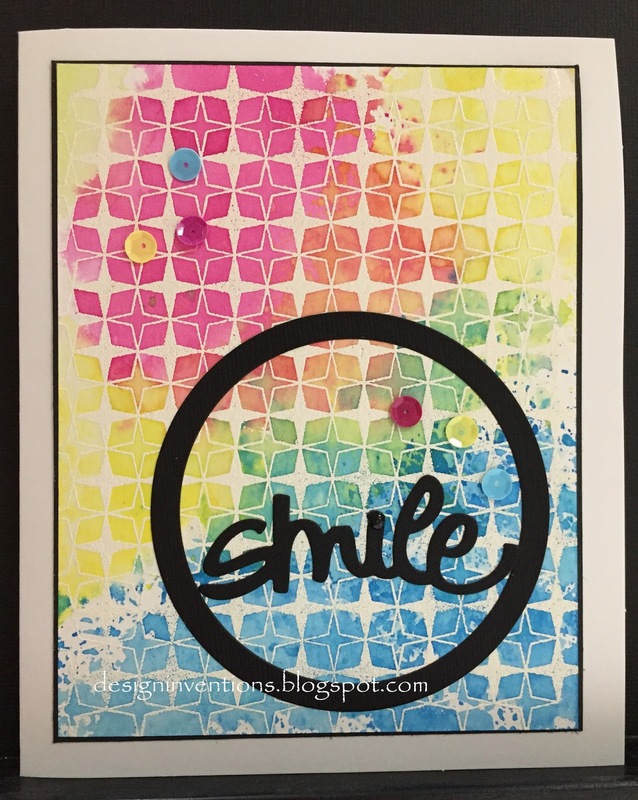 I do believe you need to find out which paper is for you and how much you want to water the color down. 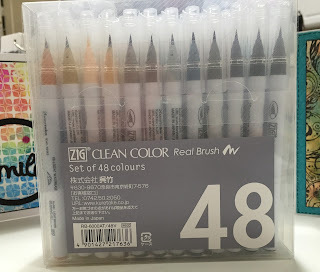 These markers do have vibrant colors and it does make since that you should purchase darker colors because you can always dilute the intensity. 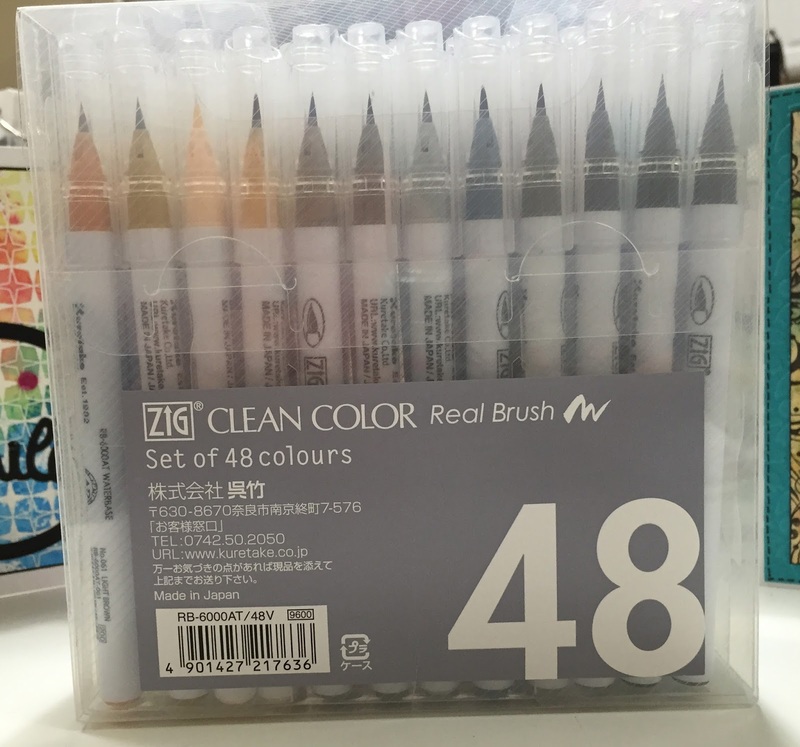 After working with my set of 48, its my opinion I will want to add about 6-8 more markers to round out my collection. 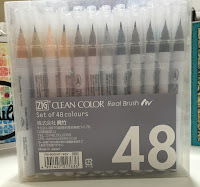 I must admit that these markers are so different than the Copic Markers I normally use, I believe this will be my challenge. Not using watercolors for such a long time I've discovered another new love for coloring. I have been using Copic neutrals to add shading around the images, which I will continue to perfect. Today I want to share a fun new product by Ken Oliver, or at least to me. 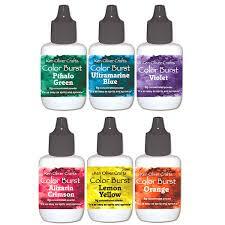 Color Burst is like magic in a little bottle. There are currently 6 colors but I have heard there may be a few more added later this month. This micro-fine concentrated powder reacts with water. Apply it with a wet brush, sprinkle it directly on a wet surface, or dissolve it in water to make a mist. Dry it quickly with a heat if you want. 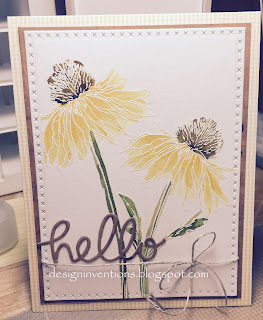 Here is the first card I made using a stencil and white embossing powder resist. With this card I sprinkled the powder on the surface and then sprayed it with water. I didn't want the entire background covered for this effect. 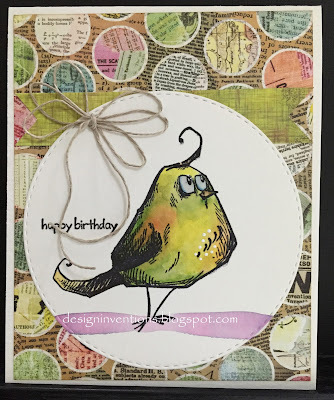 Now on this second card I used another resist method but used a large background stamp. 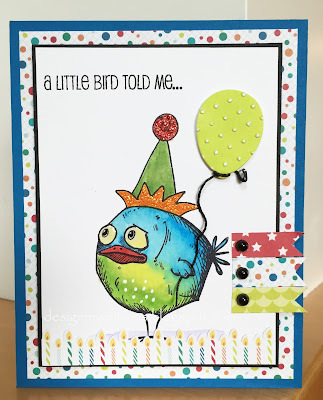 I totally wet the surface of the card and then sprinkled the Color Burst powder on top. I moved the water around with a brush and also just tilted the paper to get the color to move around. This stuff is addicting and so much fun. 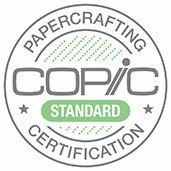 Ken Oliver is actually coming to our local scrapbook store here in Cedar Rapids to teach several classes. Needless to say, I will be there next Friday night. Prepare to have inky fingers and let the magic begin. Thanks for stopping by today and have a fabulous weekend. I wanted to pop in today and share another one of my cards using the Tim Holtz Bird Crazy stamps. I needed to make a birthday card for a special friend and this set of stamps is just so perfect for so many occasions. Because this was for a birthday I added the hat and balloon. I used Distress Inks to color and the hat is from Julie Nutting stamps. Yesterday I received a present in the mail from my FABULOUS husband. 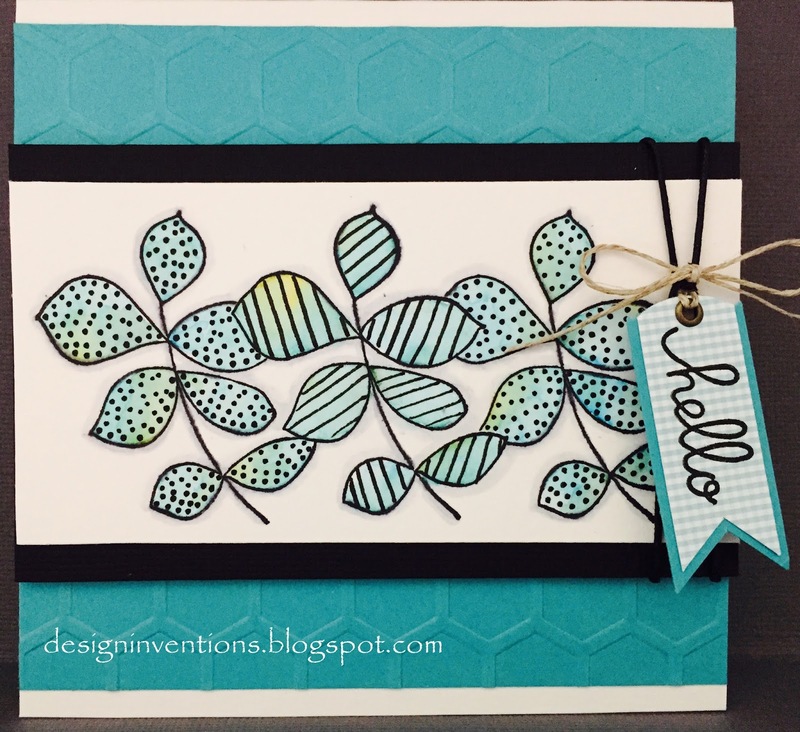 I was so excited to start playing with these markers that I quickly put together this little card. I must say that the photograph doesn't do it justice, as it is much more vibrate than the picture. These markers are so quick and easy to use, this took about 5 mins to color. 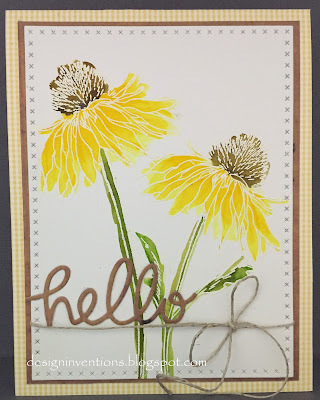 The stamp set I used is Stampers Anonymous-Tim Holtz, Flower Garden CMS215. 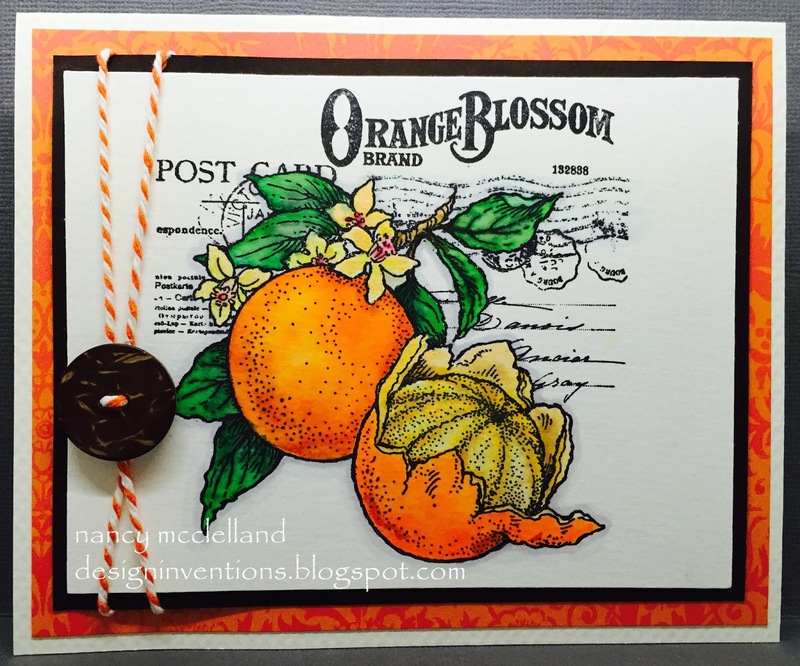 You will definitely be seeing this stamp set many more times, so be prepared! So I've been gone along time but I think its time to share what's been going on in my craftroom. After minor hand surgery and time away to work on other projects that needed my attention, I have treated myself to some crafting stimulation. 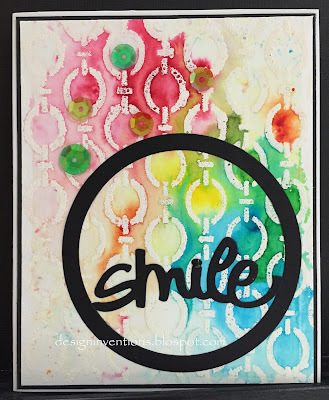 I Love Love my Copic's but have really enjoyed spending time with various watercolor mediums. 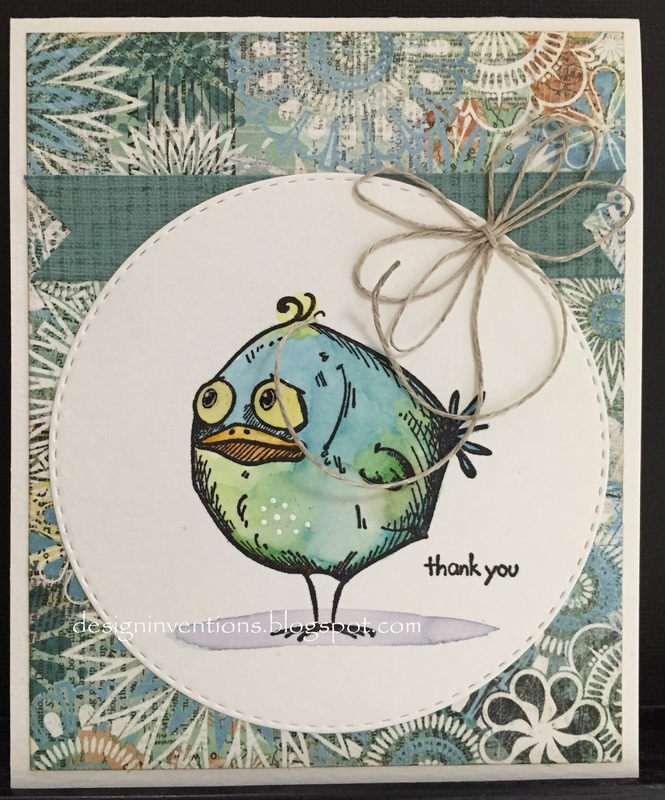 My new favorite is this Tim Holtz Crazy Birds Stamp set. 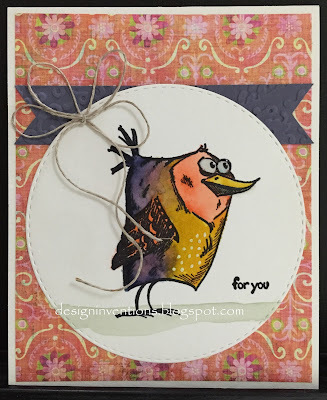 Using Distress Inks to color most of these images I've started with the full set of six birds and plan to make many more cards featuring this stamp set. So here's the first from my series of six. Thanks for hanging in there and waiting for my return and if this is your first time visiting my blog, THANKS for stopping by.